Richard Delacy has taught at several universities in Australia and the U.S. and currently teaches Hindi/Urdu at Harvard University. He completed a BA with Honors at the University of Melbourne in History and an MA in History from Monash University, with a focus on modern South Asian history and twentieth-century Hindi/Urdu language and its literature. He studied Hindi formally for three years as a part of his BA and then spent a year in Delhi studying Hindi language and literature at the Kendriya Hindi Sansthan (Central Hindi Institute). He also taught Hindi at two universities in Melbourne for nearly six years before embarking on further studies in South Asian Languages and Literatures at the University of Chicago. 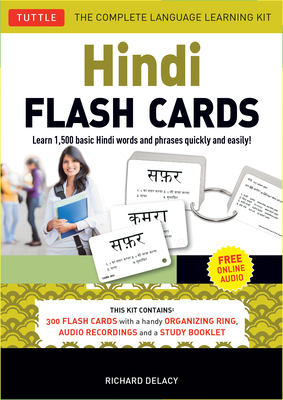 He is the author of Teach Yourself Beginner's Urdu Script (McGraw-Hill) and Hindi in a Flash (Tuttle) and coauthor of the Hindi, Urdu & Bengali Lonely Planet Phrasebook. He travels back to India as frequently as he can and has many close friends there.